I have no history with writing conferences. My world of presuppositions going into it were mostly derived from the rumors I had heard from friends who had visited various writing conferences. Earlier this year, I had the opportunity to visit a writing conference. I wanted to share a little bit about that and some of the strengths and weaknesses I see in conferences. The Indiana Faith and Writing Conference was a small conference that took place at Anderson University. While it was a small conference it didn’t lack in quality speakers and writers. The university was accommodating and the venues worked well for the presentations. Each workshop had its own location and time which were almost always back to back. On one hand this kept the pace going but it didn’t leave a lot of time to digest lectures between speakers. It also hurried people from one place to the next without allowing a lot of mingling and interaction. The speakers were overall quite excellent. I think that if anyone is considering visiting a conference though that they should spend the time and energy to research as many of the speakers as possible. While some of the talks I went to were well put together not all of them truly spoke to me or my focus in writing. Knowing who the speakers were all in advance would have fixed that problem and given me a clearer sense of expectation. I think that the most important thing that can be gained at a writing conference is connections. You will exist in a high concentration of writers for several days. The only topic of discussion will be writing during an event about writing. There will never be a better time to talk to other writers about writing. Finding people who have similar interests can suddenly become much easier at a writing conference. Making the effort to go outside of your comfort zone to find these people will almost always be worth it. Also it is a good chance to find people who may have push or pull in your field and might be a valuable asset in the future. While I just said that writing conferences are the best time to make connections, I think that there should be a direct correlations between how we act at writing conferences and how we should be acting in our daily lives. We live in a technology dominated world where you can connect and talk to anyone in the world almost instantly. This opportunity should not be passed over. Everyday gives you the chance to make those same connections through social networking. Most people and especially writers spend a lot of time on the internet. The internet even seeks to organize people of similar interests into the forums and websites. If we pursued our internet conversations and interactions with the same voracity as we pursue connections at writing conferences I don’t think there would be any writers who felt alone in their field. As a final note I think that writing conferences are a wonderful opportunity to concentrate writers together and let them interact in the real world. But I don’t think the energy and hype should stop when the conference ends. Each day should be an invigorating step forward in our journey as writers. I dearly hope that each day can be so for me. Scott Russell Sanders’ book, Terrarium, is a unique, stand-alone novel. It is primarily science fiction with a strong subplot of romance. Its primary audience is young-adult and up as it tackles more mature themes like the place of sexuality and suicide. Science fiction is a broad scope of many books which have been written in the past two hundred years. They have covered almost every topic and inspected almost every possible social issue. Some are wonderful conglomeration of ideas and bizarre concepts. This book is an interesting synthesis of several catching concepts and moral conundrums. Terrarium follows the story of a man living in a futuristic world where people seek to become enlightened but refuse to acknowledge themselves. They fear the natural world but are slowly dying without it. The story tackles issues of environmental abuse, personal identity, and relationships. Phoenix, the protagonist, is an average citizen of a future world where humanity has retreated into domed cities that float on the ocean to escape the world that they poisoned. He lives a boring, sedentary life full of self-indulgence and emptiness. Until he meets Teeg, a free-spirited woman who refuses to follow the system. Together they must discover the truth behind the dome cities and themselves. 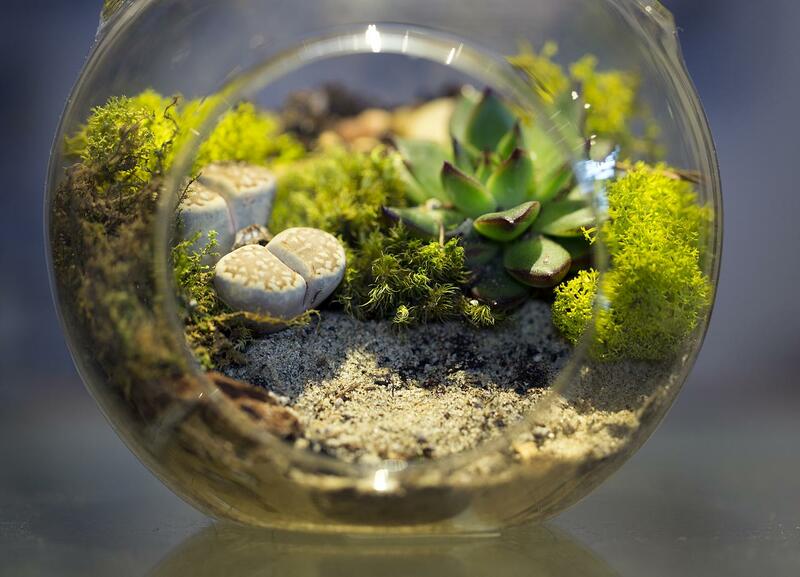 Terrarium create a unique world of floating cities in a barren world that humanity is desperately trying to leave nature behind. Sanders crafts a society that is both believable and different from our own. It is full of unique customs and intriguing technology that makes sense with his world. The plot displays strong development. It provides an intriguing platform to view the cultural and personal problems that are examined. While I would not consider it extremely original or deep, I believe that it does a good job of weaving the characters together and presenting the theme. Character driven stories are always my favorites. These novel works to present its main character as the focus. It centers around his internal struggle and journey as his world is drastically and forever changed. He could have been a stronger character than he was. His character was not bad but I felt that he needed more depth to be the primary protagonist. I would recommend this book to any lover of science fiction. If a reader has any interest in environmental issues then it is also a great book. It is not perfect but its high points outweigh its problems. 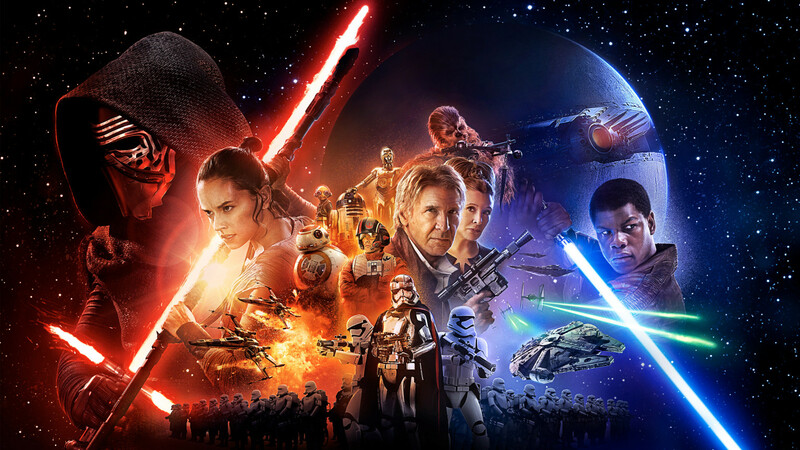 In honor of the last Force Awakens trailer, I decided that it was time to do my first Star Wars post. This will be an introduction story to what Star Wars is to me and its importance to me. Star Wars is very important to me, anyone who meets me will see that very quickly. My family loved Star Wars. I have never been able to figure out where this love started. The old VHS’s of the original trilogy were on our movie shelf long before I was born. They were family favorite movies to watch. I can never remember a time in my life when I hadn’t seen Star Wars. I would watch “The Empire Strikes Back” two or three times in a day. Quoting the movies is still a favorite pastime when I hang out with my family. We even worked together to collect all of the Star Wars Pepsi cans that were released in 1999. That is why I probably loved Star Wars. But that is not why Star Wars is my favorite story franchise in the world. Star Wars gave me a fantastic new world I couldn’t even begin to explore as child. It showed me characters from all walks of life being thrown together and forced to build trust to survive. Luke was my favorite character growing up. He was just a guy living on a farm in the middle of nowhere, who had a spectacular gift, and managed to turn into the most powerful warrior in the galaxy. I loved seeing that progression. I think it gave me a lot of hope in my own life. Something I have found interesting about this is that I still love Luke’s character arc in the movies but it isn’t the one that speaks to me the most anymore. I am attracted to whatever character has the most dynamic character in almost any story I encounter. Luke had a dramatic character change but morally he remains mostly the same. Sure, he has trials he overcomes but at the start of the story Luke is kind-hearted, friendly, and is willing to sacrifice for others. At the end of the story, Luke is mostly the same with some growth but nothing dramatic. The character that stands out now is Han Solo (I could talk about Darth Vader but that requires me to bring up the prequel trilogy and I don’t have time for that.). Han begins the story as a rogue who is incapable of putting his own life at risk for someone else without vast sums of money. He literally leaves all of his friends to die on a suicide mission. Han Solo at the end of the series is a much different man. In stark contrast, he leads what is probably going to be a suicide mission. He volunteers for it. That change is what captures me. It takes three movies for that full turn. It’s a well developed character arc and has a beautiful payout. That is what is more critical than anything else in Star Wars. I see characters that shaped my life. It’s a world that I love and has more written about it than anything else but I always come back because of the characters. Even the less than stellar writing of the prequel serves as just a mask for some of the best character arcs in fiction. Well, that is the core of my Star Wars love. I can talk for hours about those characters. I could also talk for hours about the masterfully created world, incredibly unique character design, and astounding technical skills but maybe some other day. Character should always be center of the story. If a story has a character then I want to know who they are and what they will become. This is harder than it seems some days and is rarely original anymore but those times it succeeds are the stories I remember. I would love comments about Star Wars, character, or how you feel about this in general. I can’t wait to see if The Force Awakens manages to keep up with the originals. May the Force be with you all.